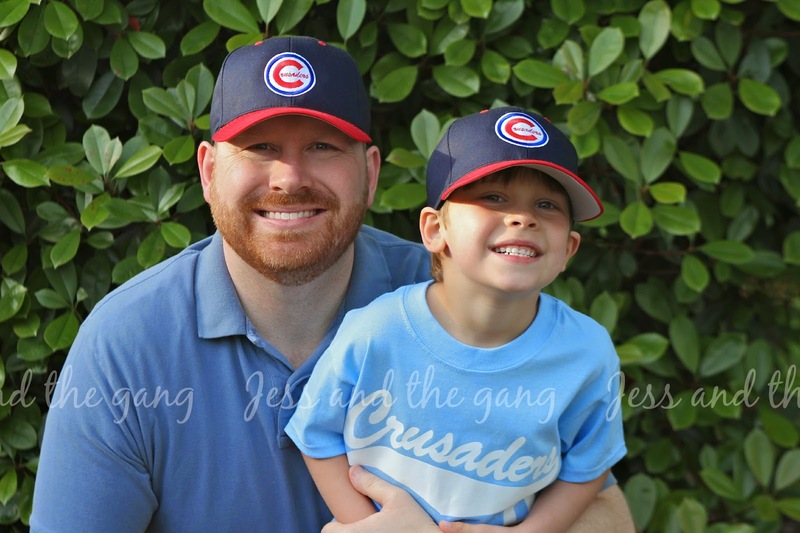 Connor had his first tball game on Saturday morning, kicking off his season of two games a week. We went and picked up his uniform on Friday night and he was so incredibly excited. He was telling anyone that would listen about it…including showing the worker in the In-n-Out drive thru! 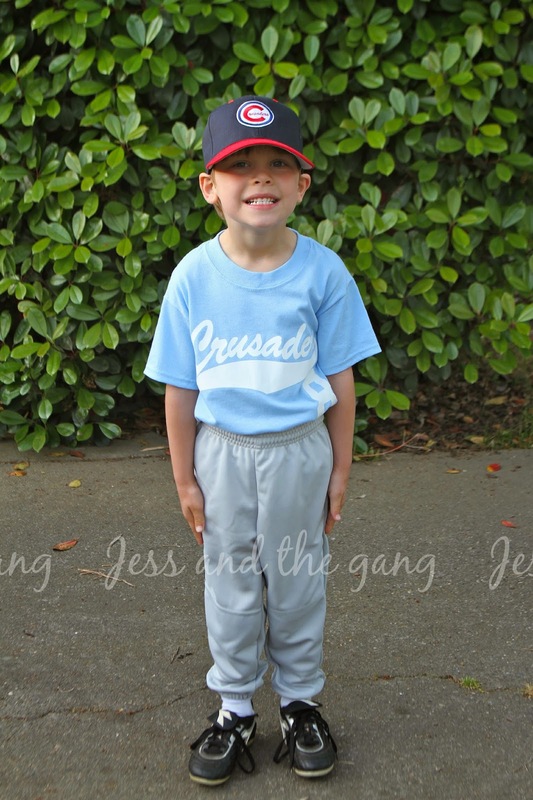 Saturday morning, he woke up excited and ready to go to his game. It was really cute. 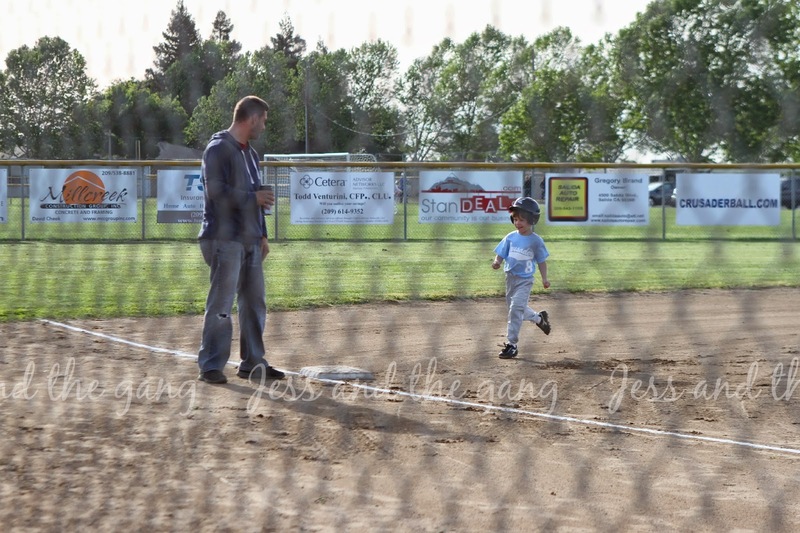 I didn't know what to expect out of a tball game. Basically all the team goes on the field. 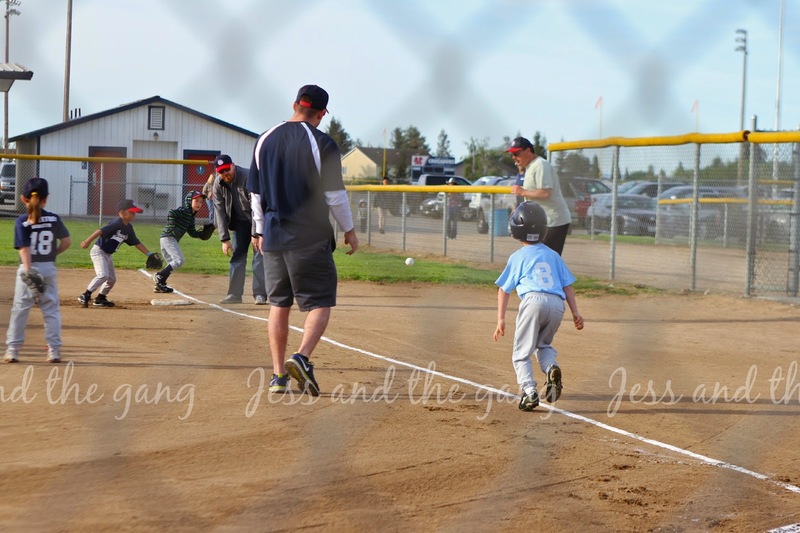 There is no one on the outfield, just a gaggle of kids in the infield…all running for the ball at the same time. In each inning, every kid gets to hit. 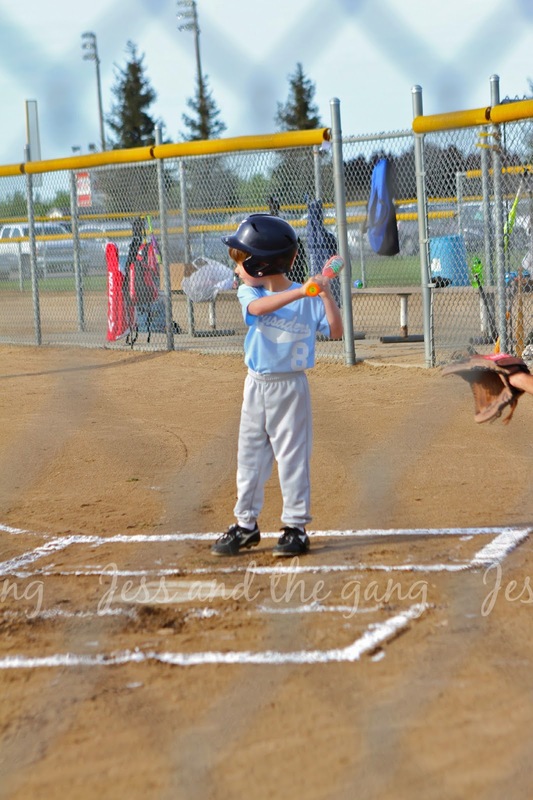 There are no outs and all the kids run all the bases. I guess they really are just learning. They only played two innings. The first one was coach pitch and took pretty long. The second they used a tee and it went a lot faster. Connor bats left, even though he writes with his right hand. He also golfs left too. 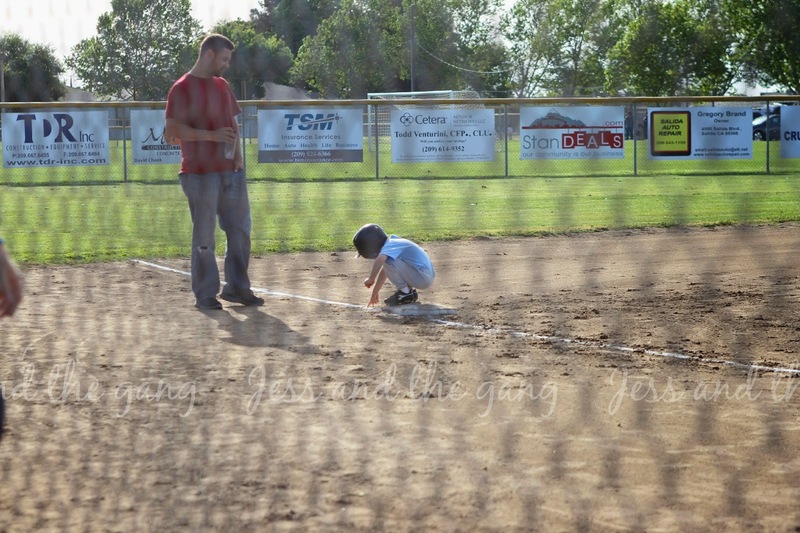 He did a good job hitting and running the bases…and even enjoyed playing with the chalk lines on the ground when he was waiting at the bases! 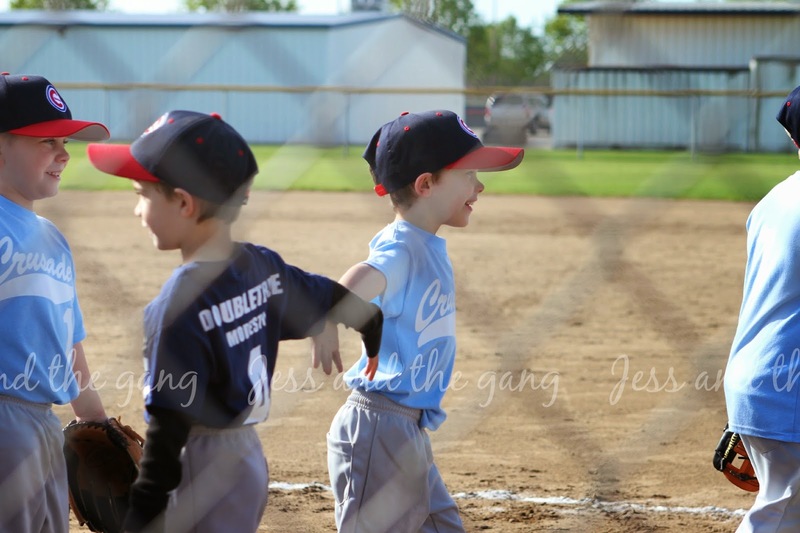 When Connor was out on the field, he mostly just distracted the other kids by putting his glove in front of them and talking up a storm. He certainly is a social butterfly! ^^ Evidence of Connor playing with the chalk lines! ^^ Saying "good game" to the other team. Ah! That last picture! His profile is the cutest! I actually write left and bat and golf right handed. I'm Connor's opposite!